What is Sponsor A Day at New Hope? On any given day of the year that New Hope is open, it costs an average of $1,000 to serve our guests at one of our six centers. From food pantry services to youth programs to budget classes and everything in between, your sponsorship will ensure that every guest has their need met in a given day. What a life transforming gift! 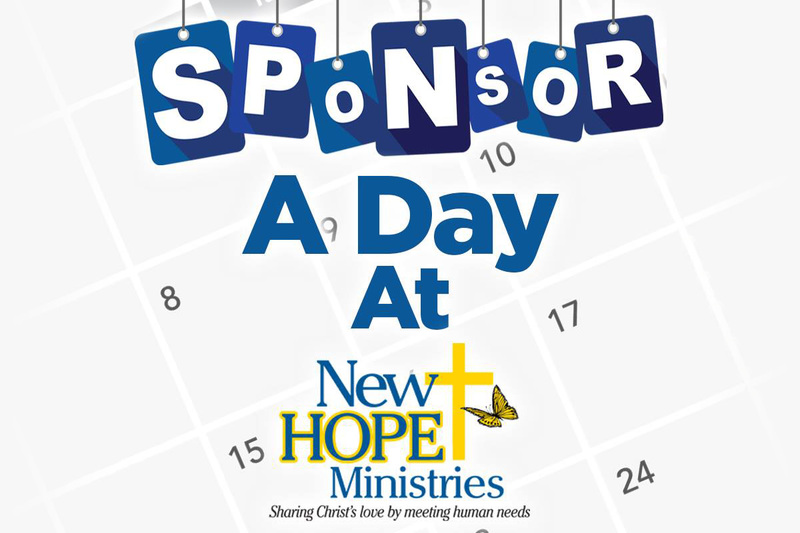 Are you ready to Sponsor A Day at New Hope? It’s as easy as 1-2-3! Choose your special day and location! You can select a Monday through Friday. Choose a date that is special to you, in memory of, in honor of, or on behalf of a church or business. Commit to a sponsorship of $1,000. Select your date and location and make your donation today! Or complete and return the Sponsor A Day application to secure your date and location. Click HERE to download the Sponsor A Day application (to use by mail).